Unlike the three other football codes, Super Rugby franchises are not renowned for getting rid of head coaches mid season. But after another diabolical weekend, the Blues and Queensland Reds must now be close to making that big, tough decision. The two coaching lame ducks are Sir John Kirwan and Richard Graham. Not that long ago, the Blues and Reds were Super Rugby royalty. They were once provincial trendsetters, with the Blues victors in 1996, 1997 and 2003 and Reds the masters of 2011. But now they are mere shadows, lacking spirit, direction, and floundering due to errors on and off the field. Aucklanders haven't taken kindly to losing the mantle of being New Zealand Rugby's stronghold, and it doesn't get much worse than having to endure a loss on home turf to the Lions - a South African team regarded by many as nothing more than a faceless team there only to make up the numbers. Not surprisingly, the Auckland media have bitten, with the ever-provocative New Zealand Herald columnist Chris Rattue on Sunday calling for Kirwan to be sacked. Rattue is not a solo voice, with many others in the New Zealand media questioning Kirwan's record of just 13 wins from 36 games. Kirwan was talking tough after the loss arguing that he was "going to be here for a long time". He even "liked moments like this" as "men need to stand up, so bring it on". Fighting words from a battered boxer. He looks doomed. As with his underwhelming period coaching Western Force, Graham has failed to inspire the Reds. Since Ewen McKenzie's departure, the Reds have gone backwards. Last year, there was endless talk of division within the ranks. This year, the Reds appeared to have lost their soul; their demeanor, body language is so downbeat. The Reds were irritated that Brumbies coach Stephen Larkham remarked after beating them 47-3 in round one that Queensland weren't up to Super Rugby standard. Graham thought Larkham's comment was "ridiculous", and naturally tried to use that to motivate his players. It didn't last long - as the Reds-Waratahs encounter in Brisbane on Saturday night confirmed that Larkham was right on the money. The Reds aren't up to Super Rugby standard. They're the ones now looking so ridiculous. The Reds could easily try to blame their appalling performance on the disruption caused by the Karmichael Hunt court appearance, and the late withdrawal of James Horwill through injury. But silly pre-match maneuverings didn't help either. Graham attempted to bamboozle the Waratahs by making endless changes to the originally announced backline. Suddenly Nick Frisby was playing out of position at No.10, rather than James O'Connor. O'Connor was now at fullback. Lachie Turner was shunted onto the wing. Chris Feauai-Sautia was in the centres, and Ben Tapuai demoted to the bench. Forget about confusing the Waratahs. All these mind games did was play tricks on his own team. It was a tactical disaster. Apparently the Reds backline trained that way "behind closed doors" during the week, but it certainly didn't show on game night. Frisby froze, not surprising considering scrum-half, not No.10, is his natural position. The longer the game went on, the further back in attack Frisby sat - which saw the Reds constantly lose ground and momentum. And O'Connor, originally a focal point of the game, was a mere bystander, never able to get into the game from the last line of defence. In the end, the Reds were lucky the Waratahs weren't that much better. The Tahs couldn't hold the ball. They tripped over the own feet. 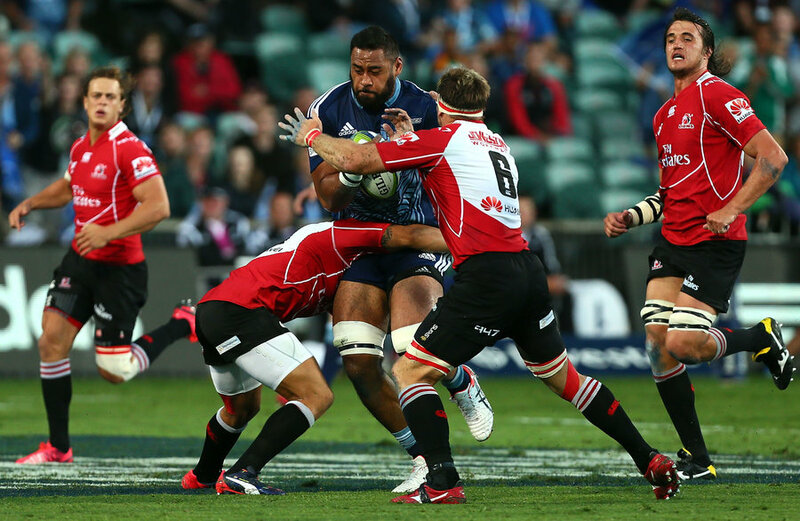 A team that had any idea in how to maintain a structure could easily have beaten the Waratahs. But as the Tahs were playing opponents who had completely lost their shape, the visitors could merrily cruise control their way to a 23-0 lead. The Reds' try in the final minute was missed by many of their supporters because they had long given up and departed the stadium. Graham does boast strong allies in the halls of power in Queensland Rugby. But even these influential members of the Graham Fan Club must now be wondering how long they can allow this mess to continue. 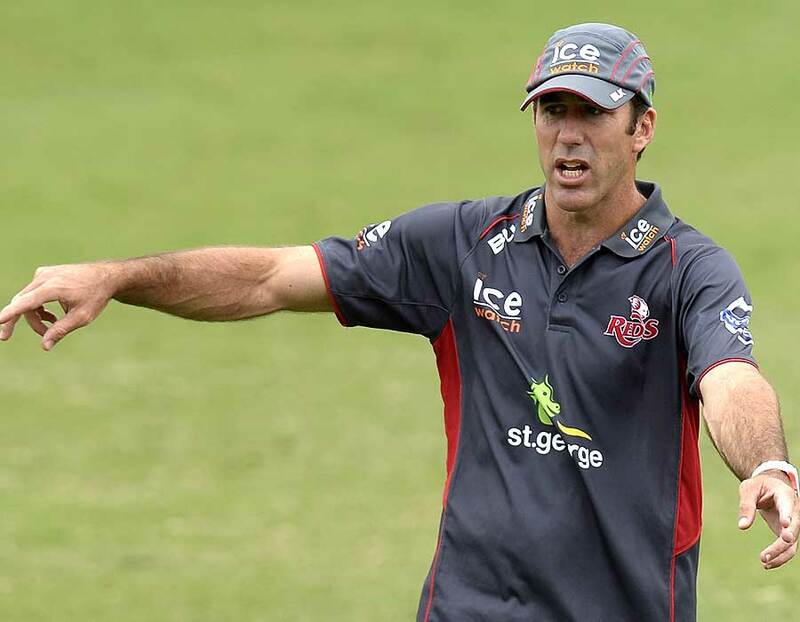 Amidst all this gloom, there was one encouraging coaching development over the weekend - with speculation that Laurie Fisher, who last year moved from the Brumbies to Gloucester, is under consideration for the vacant Wallabies Rugby World Cup forwards coaching spot. His appointment would be a good move in an otherwise forgettable week for Australian Rugby.